I have checked the link and couldn’t find the answer for below query. If the above mentioned applies to the FXCM market, please change my account type from LLC to FXCM Market. Based on your requirements, switching your account to FXCM LTD (UK) would seem to be the best option. That would offer No Dealing Desk (NDD) forex execution and funds protection of up to £50,000 under the Financial Services Compensation Scheme (FSCS). It’s worth noting that while FXCM Markets would offer you up to 400:1 leverage on DD execution, your leverage with FXCM UK would be limited to 100:1, since the execution is NDD. However, you did not list leverage as being as important to you as NDD and funds protection. It’s now past 2pm in India on Friday. I have scheduled a follow up call for you the daytime on Monday to address any additional questions you may have. For your security and privacy, please edit your post to delete your phone number and account number. If you ever need to send me sensitive information, please do so privately. Thanks for pointing out. Can you please let me know how can I remove my phone number and account details. I am not sure about this. Today I tried to deposit amount. But one of your representative informed me that it is not possible using this. Only possibility is bank wire. I can’t deposit using bank wire from INDIA due to restrictions here. I am quite wondering how your INDIAN clients are dealing. Note that you have to be logged into the BabyPips forum to see this option. In regards to your question about making a deposit, I’ve sent you an email with funding instructions specific to your account. I have contacted Babypips support to remove these details. I got your reply. Still I have few concerns in this. I have sent it through email. Waiting for your reply. I have one query regarding position size and its margin. What will be the maximum position size for mini account($1K) and the margin amount for 0.1 position size. I believe it will very depending upon the pair, could you please provide an approximate number from minimum to max margin for 0.1 size. First it’s important to note that your minimum margin requirement (MMR) will vary depending on where you live. For example, I live in the US, where US regulations require the MMR for forex trades to be at least 2%. That allows me up to 50:1 leverage. Therefore, I must set aside $20 as used margin for each 1k (AKA micro lot or 0.01 lot) position I open, or $200 for each 10k (AKA mini lot or 0.10 lot) position in USD/JPY. That means, if you set aside $1000 as used margin, you could open a 50k (AKA 5 mini lot or 0.50 lot) position in USD/JPY. However, that would leave you with no usable margin to maintain your position. 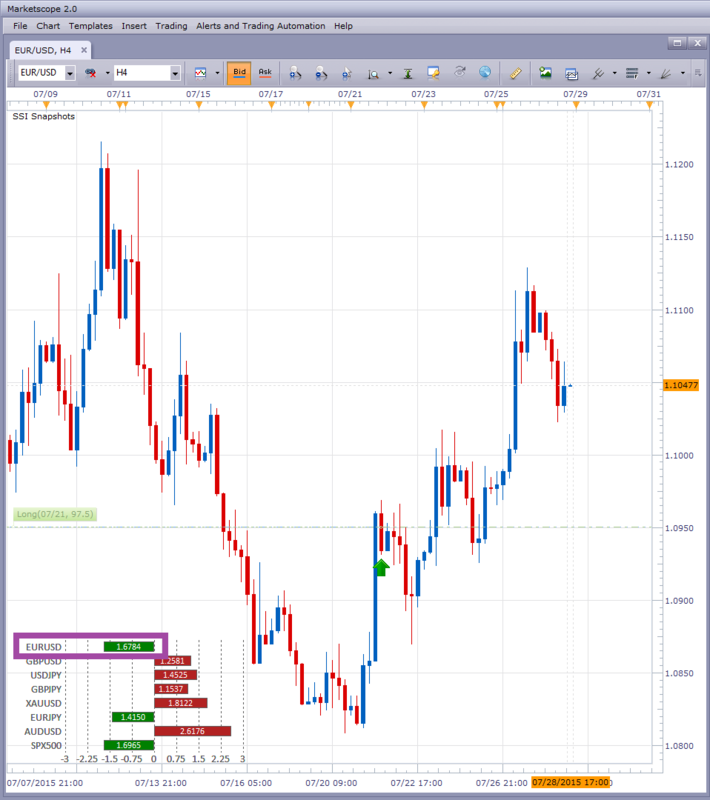 As you expected, the exact MMR varies depending on the currency pair, and you can see these amounts in the MMR column of the Simple Dealing Rates window of the FXCM Trading Station. What currency strategist Christopher Vecchio noted on DailyFX.com last Friday, but is absolutely worth reiterating now, is the notion of risk management with respect to the EUR-crosses. It may be deemed best risk management practice for traders to reduce position size and leverage in EUR-crosses for the foreseeable future. 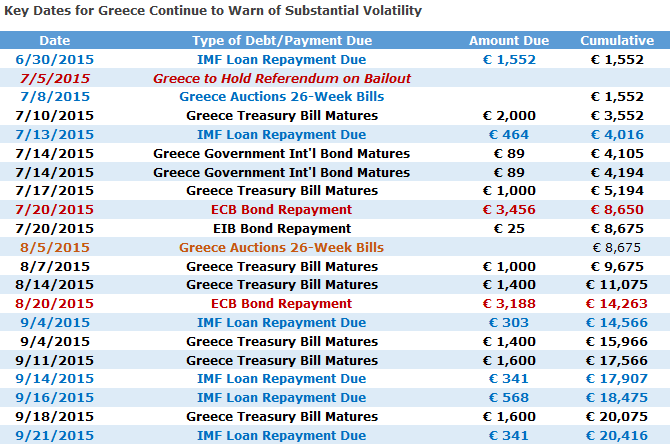 While the potential outcome for Greece is unknown - the absolute magnitude of the fallout around a positive or negative outcome will be enough to have a significant impact on prices over the coming week at a minimum. In concrete terms, the single most significant deadline on the calendar is likely the European Central Bank bond repayment due on July, 19—assuming that the Greek Government remains solvent up until that point. [B]Any surprises could force substantial market moves, and traders should limit trading leverage—particularly in EUR pairs—ahead of the key dates. [/B] Caution is advised until we see a true breakthrough in negotiations. In trading station, I can see the 6th candle for Sunday. But this is not in MT4. Why we have this extra Sunday candles in Trading Station. Also how can I make sure I’m using NDD(I discussed with your representative. He told it is NDD. Still is there any way can we double check on this). In trading station, I can see the 6th candle for Sunday. But this is not in MT4. Why we have this extra Sunday candles in Trading Station. 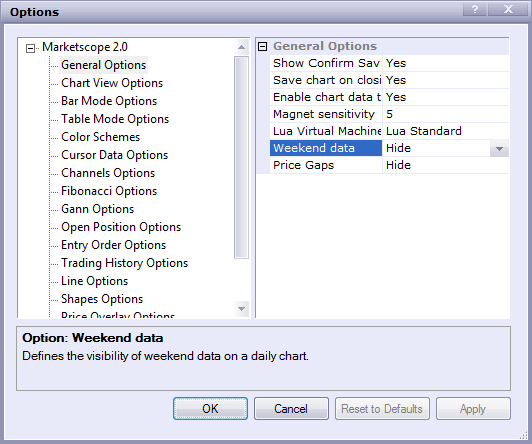 Make sure your Marketscope charts are set to hide weekend data. Go to File > Options > General Options > Weekend data > Hide. Also how can I make sure I’m using NDD(I discussed with your representative. He told it is NDD. Still is there any way can we double check on this). Our live customer support team is available to you 24 hours a day, 7 days a week, so you can call us anytime to verify the execution type of your account. According to the latest readings from our Speculative Sentiment Index (SSI), the ratio of long to short positions in the EUR/USD stands at -1.68. That means there are 1.68 short positions among FXCM’s retail client base for each long position. In other words, only 37% of traders are long, while 63% are short. We use our SSI as a contrarian indicator to price action, and the fact that the majority of traders are short gives signal that the EUR/USD may continue higher. 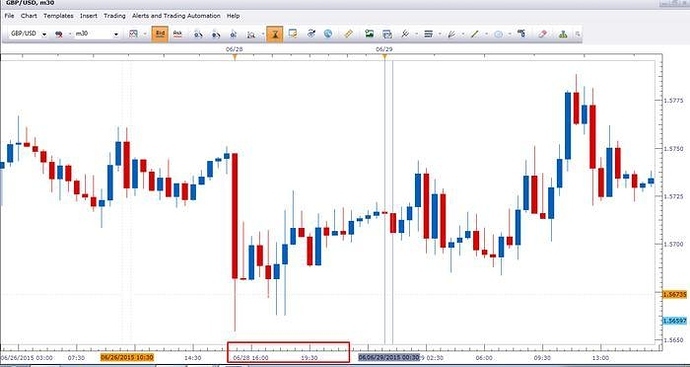 For years, FXCM clients have been able to get SSI updates on DailyFXplus.com, but now you can also get real-time SSI data for up to 19 symbols directly on your charts. The SSI Snapshots indicator updates every second, so you have the most up-to-date info on the marketplace. And with convenient docking, you can position the indicator on any chart so it never gets in the way. 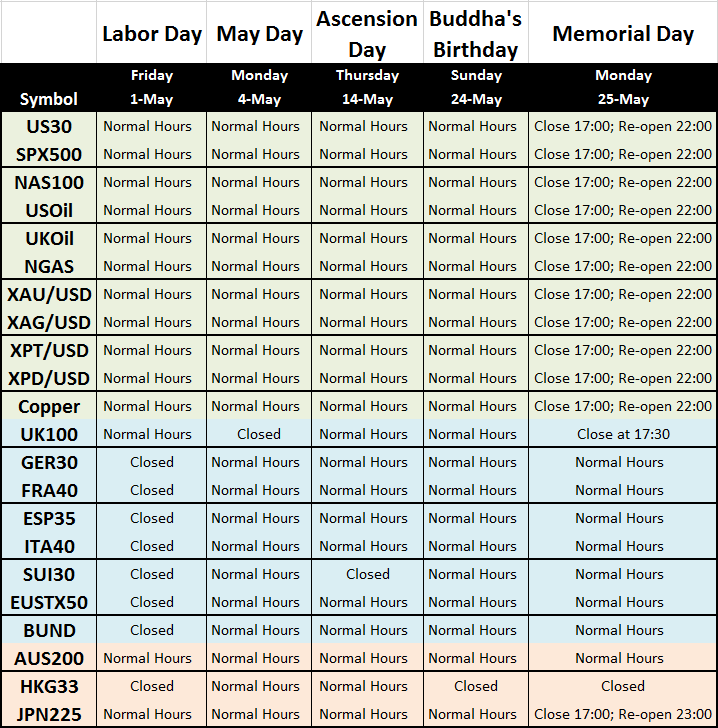 This thread is where I will post any new announcements from FXCM such as platform updates, changes to trading hours due to holidays, new products, etc. This way it will keep everything in one spot rather than having to create a new thread for each announcement. Hello jason, can i know if there is some issues with withdraw in fxcm? Because i have request from last year yet still its not success. Thank you. There are no issues on our end that would prevent you from making a withdrawal. Our MyFXCM.com website allows clients to make withdrawal requests online anytime 24 hours a day. You mentioned that you tried making this withdrawal request last year. We typically process withdrawal requests in 1 to 2 business days. Please email our Operations department at <admin@fxcm.com> to follow up on your request and make sure that the @fxcm.com email domain is not being blocked by your email spam filter. It’s possible that our Operations department contacted you last year about your request, but you didn’t see their email. 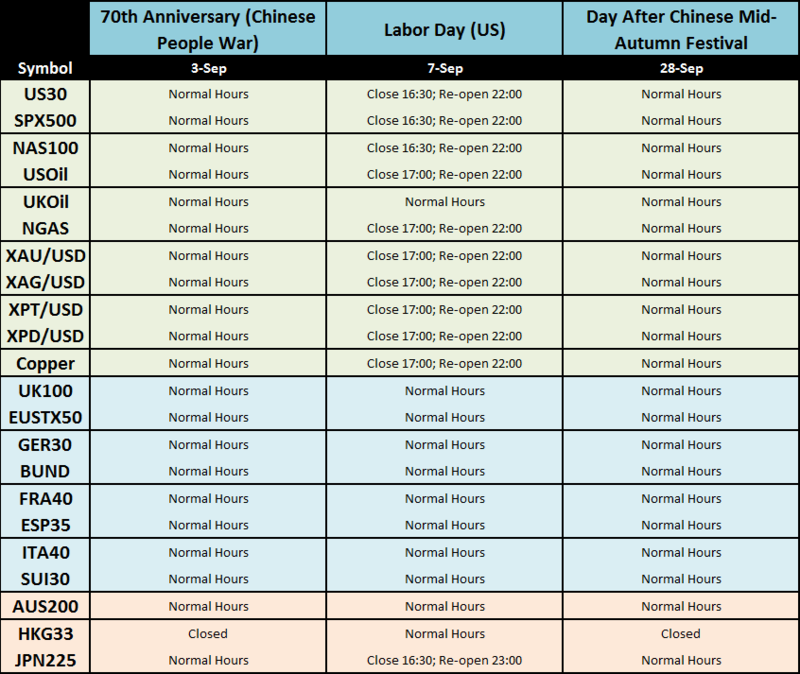 Below are the CFD holiday trading hours for September. 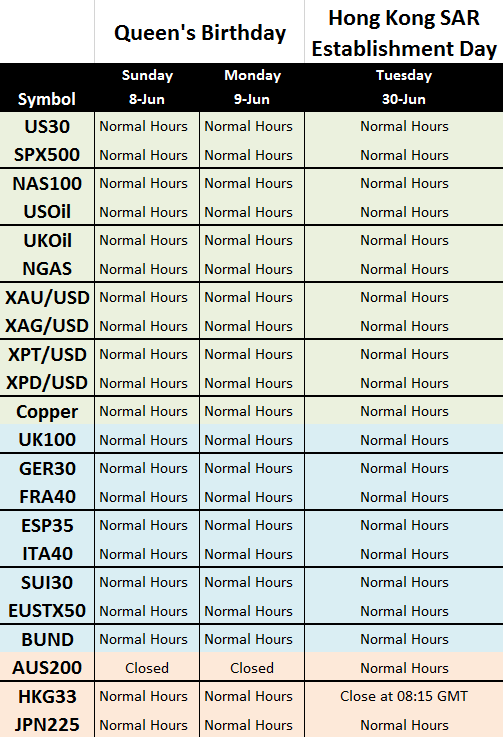 Forex trading hours remain unchanged. Hey Jason, why did the gold disappear from the FXCM’s symbols? I downloaded the MT4 demo several times, and it contained the gold chart next to the currencies. Last time I downloaded it, and now it is only currencies, nothing else. Was it moved to somewhere else, is there a CFD platform I have to download? It sounds like you might have signed up for a US demo, and CFTC regulations only allow us to offer forex to US traders, not CFDs for gold, stock indices or energy products. about the new account, I noticed that the number of Forex pairs available will be eighteen, rather than forty. Could you tell us which pairs these are? Also, will I still be able to trade equities and commodities?